This is how hard building healthy internal communications is at a growing startup: SoundCloud moved its VP of Community — the man who built its 20+ team of community managers and support specialists for over 175 million unique listeners — to work on the problem full time. His name is David Noël, and he's the kind of guy who runs toward big challenges. In this case, making sure the company's 300+ employees are able to collaborate seamlessly across four global offices (Berlin, London, New York, and San Francisco) in four different time zones. This is no easy feat, and the result has been some groundbreaking thinking around culture and communication. There hasn't been a lot written on this type of role or emphasis, making this exclusive interview with Noël a foundational document for all startups on how to build a world-class internal comms program. Here, he shares the five initiatives that have worked best for him and been vital to SoundCloud's success. Most companies hold periodic All Hands meetings: company-wide gatherings designed to keep everyone on the team connected and moving forward toward shared goals. These meetings are relatively easy to get right while a company is small, which can be deceptive. “I remember when I joined six years ago, we would hold All Hands every other Friday in our rickety conference room,” Noël says. “It was the All Hands meeting in its purest form.” Anyone could bring in a topic they wanted to discuss, and everyone would debate and ask questions. This worked well for a while. But soon, “Growth caught up with us,” Noël recalls. The spontaneous pick-a-topic-any-topic approach didn’t work so well with a larger team. “I remember one really bad All Hands towards the end of 2013. There was just no consistency — one presentation was really tactical; another was strategic. The narrative wasn’t cohesive.” Team members didn’t know what to expect, they weren’t always sure how the meeting topics fit together or why they were relevant to their work, so they tuned out. Most distressing to Noël was realizing that the meeting had become largely a one-way dialogue. Find the right cadence. For smaller companies, holding an All Hands once a week or every two weeks works awesomely well, and is easy to execute. But as SoundCloud grew, it made sense to have fewer, more comprehensive meetings. “Before the beginning of each quarter, we know exactly how many All Hands we’ll have — these days, at over 300 employees, it’s usually about 6 to 8 times a quarter,” Noël says. You want to share those dates as soon as possible so people can block off the time and make the meetings a priority. Take a strongly thematic approach. For every All Hands, Noël’s team picks a concrete theme that aligns with that quarter’s core priorities (as staked out by the leadership during pre-quarter roadmapping). Moving from the “agenda and topic-based approach,” where anybody could raise an issue over email, to a thematic approach helped ensure that the meetings were interesting, coherent, and relevant to all employees. Developing themes essentially enforced the internal comms team to be thoughtful about what would engage people and be most important for everyone to know. It raised the bar for the content that would be shared. Assign owners, and get serious about accountability. At SoundCloud, there are two key owners for every All Hands meeting: the curator and the host. The curator is the owner of that meeting’s theme, and is responsible for making the agenda and selecting speakers who will strike the right tone and topics. The host (usually Noël or one of his team members) figures out the logistics and makes sure all the speakers are thoroughly prepared for their moment on stage. They also serve as MC during the event, opening and closing the proceedings and introducing new employees. This distributes the labor nicely and helps get more people involved and invested as rotating hosts. Nail down a regular production cycle. Noël and his team start planning each and every meeting about three weeks in advance of the date. Two days before, they convene the speakers for a test run to make sure they've done their homework and that their content will be valuable. “It’s an opportunity to make sure we have a cohesive narrative, and also give feedback on the content, style, format and overall delivery.” Little things get tweaked because every detail matters to the credibility, caliber and polish of the event. Maybe one person is running over time on his part of the presentation, while another presenter could use design help on a few slides. All of these changes are important because they add up to every employee feeling great about working at SoundCloud and doing their best work. Prioritize the inclusion of remote employees. Noël makes sure to include the IT team in every All Hands test run. 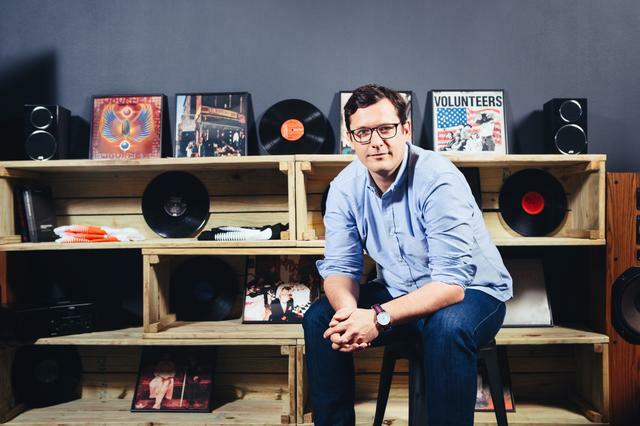 SoundCloud has three offices in addition to their Berlin headquarters, where the live All Hands is typically held. “Given the number of offices, IT is basically producing a full, hour-long TV show. We want to make it feel just like everyone is in the same room.” Every presentation should be just as engaging for an employee in San Francisco as it is for someone in Berlin. No nit-pick is too small. For example, Noël cautions speakers against using too many bullet points in their slides, since they might be hard for people watching on the Livestream to read. One camera angle from the back of the room simply won't cut it. Low production value breeds disengagement, and a disengaged employee is more likely to do low quality of work or leave the company. Let attendees ask questions through the channel they're most comfortable with. Every meeting includes a Q&A session. “We try to include both senior and junior people working on the meeting’s theme to provide a full stack of visibility,” Noël says. Attendees can ask questions in person, but there are also moderators who surface questions that come in via the company’s intranet or chat or Slack. This allows people in other offices to participate in a seamless way, and caters to people with differing communication styles. Some might be shyer than others or prefer to express themselves differently. You don't want to exclude anyone unintentionally. Past themes and topics have included actions and reflections coming out of leadership offsites, future product launches, company strategy, quarterly objectives, and much more. There's a special sensitivity for areas that might be controversial or confusing or tense. Instead of skimming the surface of these issues, or talking around them, SoundCloud makes them central to the discussion during All Hands gatherings. For example, the company recently held an All Hands with the company's board of directors, who for one hour presented their perspective on the business and possibilities for the future, and then fielded questions during an open Q&A. What did you like best during the event? What can we improve about the meeting? They then use the results to continue to refine the All Hands to meet the company’s constantly evolving needs. To keep tabs on their success, they aim for a consistent satisfaction rating of 80 to 90%. “That number really shows we picked topics that are top of mind for people and delivered the information they wanted,” he says. Qualitative feedback is just as telling. Sometimes, the meeting will be outside normal work hours for employees in other time zones. People have started proactively organizing breakfast meetings to watch the Livestream instead of watching the footage after the fact. That’s a real testament to the value of the content — when people show up at 8 a.m. to watch the All Hands together because it's that compelling and important. On a smaller scale, teams within the company host “Town Halls,” where the entire team gets together to hear about KPIs, celebrate successful projects, kick off new ones, or learn about performance goals. As teams get to be larger and larger, having a way to bring everyone together to get on the same page is increasingly important. To loop in the rest of the company, team leaders circulate a summary of their plans to everyone every two weeks. All Hands meetings are vital for bringing transparency to big company-wide initiatives and goals. But there are plenty of other niche or smaller topics that deserve attention but don’t require an all-team meeting. Sometimes a question from an All Hands will prompt an entirely different line of conversation. Noël observed how a few employees would get to talking over lunch about an issue that’s only relevant to a certain subset of employees. He saw how much organic interest there was in teams working on an exciting new projects that weren't quite ready for prime time. The insights and data teams presenting findings about an intriguing user segment. Early prototypes or wireframes the design team is enthusiastic about. Recent user research that is telling or surprising collected by the data team. Progress toward a big launch as told in narrative form by the product team. Open Houses are also used to reinforce the most important themes coming out of All Hands meetings. For example, the first All Hands of every quarter is dedicated to high-level goals, plans and objectives for the next 3 months. This is often followed by an Open House for anyone who wants to dig deeper into these topics. In general, SoundCloud employees (especially senior managers) are highly encouraged to travel to the other offices to promote face-to-face communication, context-setting and to help more people connect the dots across the company. In fact, the company offers a Global Exchange Program where employees can apply to work in another office for a quarter if it will add value to their development or output. It's turned into an incredibly popular program that employees cite as a key perk. 2. Giving more people a seat at the table. For example, SoundCloud recently developed its internal action plan around diversity and inclusion. “On the road to defining that plan, we had at least one Open House in each office for people to provide input on what we should be focusing on as a company,” Noël says. The people hosting the Open House are often the resident experts on that topic or area, but they're encouraged to draw in anyone who simply wants to learn more who may then be tapped to present or ask specific questions so that everyone can benefit from the information shared. Open House meetings have quickly grown in popularity at SoundCloud, proving their value for keeping knowledge flowing, current and nimble. “The sheer number of Open Houses being organized in every office in an indication of how useful people find them. Last year we had about three to five a quarter. Now, it’s more like 15+ a quarter. If we see a topic bubble up that seems to justify an Open House, more often than not there will be a packed room.” And if multiple Open Houses get organized around a particular subject, Noël's team perks up and considers adding it to the next All Hands docket. They're not only good for sharing information — they help the company keep its finger on the pulse of what inspires people, what they care about. During Noël’s first few years at SoundCloud, the company used a basic wiki to host company-wide information. “It didn’t look pretty, but it served its purpose pretty well,” Noël says. “It was fine.” At that point, the team was still so scrappy and tight-knit they didn’t have a huge need for central or formal documentation. When you start from scratch, you can optimize for how things will work in the future rather than focusing on fixing the past. The first step was to christen the new system with a SoundCloud-worthy moniker. “We didn’t want to call it ‘Project Intranet,’” Noël says. “First we called it “Epic’ and then we had one person suggest ‘Opus.’ It sounded awesome and it was witty because it’s also a word used to describe an epic audio experience, as well as an audio coding format — we were able to connect it with our mission to deliver sound in incredible ways.” All of this helped the name stick like glue — and capture people's attention. Give everyone enough time to adjust. Noël’s team sunsetted the old wiki, providing employees ample opportunity to copy over any data they wanted to the new site (they also exported everything just in case). “We were lucky in that we were completely switching infrastructures,” Noël says. “The rollout would be more difficult for people using the same environment. If we had to do it that way, I’d do a feature freeze on the old environment to try to start from scratch as much as possible.” It was also important to not expect or demand a fast transition. A lot of companies make the mistake of hustling employees to a new platform and then abandoning the solution when it appears to lack traction. These things take time and new behaviors don't come easy. Use a phased approach. Noël’s team assigned a full-time intern role to help manage the process of introducing Opus to the company day in and day out. All told, they spent six weeks rolling out Opus bit by bit to individual teams at first. This provided the dual benefits of giving each team a personalized onboarding experience, while allowing Noël’s team to work out any kinks ahead of time that would impact each particular team. On the old wiki, there was “so much legacy content that it had become like the Wild West, with a mix of new and super out-of-date information.” By interfacing with each team separately, Noël’s team could weed out unnecessary information and ensure everything on Opus was up to date one contained segment at a time. This helped each team embrace the new system, and helped the internal comms squad perfect their work along the way. Invest in premium design. The old wiki was “very restricted in terms of functionality, and it didn’t look great.” Once the team had moved all the content onto Opus, they hired a designer to completely overhaul the look and feel. They didn’t want Opus to be just another boring internal hub — it needed to look and feel like a SoundCloud product. “We wanted it to make it a place people wanted to visit every day — The New York Times for SoundCloud,” Noël says. Within a few weeks, they had a design ready to roll out to the company. It wasn't elaborate or hard to code, it was simply polished, professional, worthy of the brand. AsNoël has seen, the credibility and use of the new platform hinged largely on people liking how it looked. Prioritize community-building features. Opus has a dynamic front page where the internal communications team can regularly feature new content. This gives employees a reason to visit Opus continually and organically. Once they’re there, there’s plenty more new content to explore. The product team, senior management and others have committed to writing periodic blog posts, which employees can “like” and comment on. Noël's team also introduced Opus Questions, a “Reddit-like Q&A tool where questions can be voted up or down.” Opus Questions quickly gained popularity: An average of 2 to 3 questions are posted every day, 80% of which are answered by others. You want to populate your platform with as many ways for everyone to participate as you can. That's what will keep people coming back. And when they keep coming back, you have a greater opportunity to keep them informed. Make it ubiquitous. Repetition is key. It's only when you hear a team member say,“I've heard about this thing 3 times!” that you know you're succeeding. Don't shy away from being a broken record. When it comes to behavior change or a major transition like moving to a new intranet, repetition is a vital tool. You need everyone in the company to feel like all of their colleagues are using it. Right after Noël’s team launched Opus, SoundCloud’s co-founder and CTO Eric Wahlforss emailed the whole company. He’d been skeptical about whether this project was the right thing to invest in, he said, but now he said he was “totally blown away” by Opus’s functionality and design. Not only was leadership impressed, but the rest of the team also showed their support in the best way possible — by actually using the tool every day. Between Q1 and Q2 this year, the company saw over a 150% spike in unique page views on Opus. “There are constantly new pages being created,” Noël says. Today, every single employee at SoundCloud is on Opus, and around two-thirds of the company is consistently contributing to the site in some way. To make Opus a dynamic, living site, there's an imperative to post new information on a regular basis — especially for the executive team and other senior leaders. Additionally, every team within the company has its own page to maintain. Every quarter, they post their team priorities so that everyone knows what's urgent and important. People simply didn’t know where they should go to connect with the right people. Suddenly it occurred to us how much we were probably missing out on because of this disconnect. Like many tech companies, SoundCloud prizes autonomy; they’re not into top-down management. But in this case, they needed to make a unilateral decision, because everyone had a different opinion. The lack of clarity about what tool the company preferred was negatively affecting workflow and healthy circulation of data between teams. Makes everyone more approachable. “I think people now are having conversations that they wouldn’t ever have had before. People end up talking to people they would never approach in real life — like many of the executives even,” Noël says. “The fact that we now have one system has improved team collaboration and happiness.” Teams who are heads down on a project can also form private groups to facilitate communication and boost productivity. Chat rooms on slack are regularly created and deleted, mimicking the ebb and flow of projects and discussions inside the company. Moonlights as a central water-cooler for all four offices. Slack offers “channels” that anyone from the company can join. All sorts of fun discussion groups have cropped up. There are location-specific channels for different offices; a “PosiTweets” channel where people post nice things being said about SoundCloud on Twitter; and interest groups for things like board games, running, and, yes, even GIFs. Employee happiness is contingent on everyone feeling socially nourished,Noël recognizes. By bridging all of the offices and people at the company, Slack makes it easier for employees to find their tribe and their social anchor at the company. This isn't meant to be a single-minded promotion of Slack. Other platforms might work best for different companies. There's a lot to recommend HipChat and Yammer, for instance. The key is to choose a system that the majority of your company is already familiar with and likes the most. Again, behavior change is arduous and unpredictable. You want to bet on the best odds of everyone moving in a particular direction. You also want to make sure that whatever you end up with has the primary functions you need. You don't want to have to migrate again in the short-term. It just won't work. People start to feel this separation anxiety — the sense that if they’re not in a room, they’re not allowed or welcome there. For example, Noël once Cameo’d at an engineering management offsite. “In that case, they asked me to come in to discuss a recent happiness survey, and help them figure out ways they could use the results to improve.” In the end, both parties benefited. Noël brought new ideas to spark discussion around what really makes people happy in a workplace, and in return was able to share with his own team a better understanding of the engineers’ priorities and challenges in this area. People don't have to be specifically invited to make a cameo, however. They can request to get some face-time with a team, which will keep them in mind for a meeting that lends itself to having a guest. Cameos may not be productive in the middle of a tough project or when a deadline is looming, but there's always time eventually, and the exchange has proven vital for the free flow of information and holistic understanding of the business. Eventually, Noël had the idea to extend Cameos to senior management meetings, and it turned out to be game changing. In this case, Noël asked senior managers to nominate people they thought would do a great job not only being observant, but also proactively participating. “This offsite is multiple days of intense discussion, and we wanted people who would really get involved.” From a pool of 30 nominees, they randomly selected three people to do a Cameo (each person attended a half-day of the 1.5-day offsite). Afterwards, these employees wrote a blog post on Opus about their experience. “Judging by the comments, people really appreciated the transparency,” Noël says. It is still one of the top 5 most-read blog post on the site with dozens of comments, people asking questions and getting answers. The experience went a long way toward clarifying what management was talking about, plans for the future, and how it would impact everyone company-wide. The transparency spoke to SoundCloud's core value of openness, and the three employees selected to sit in felt special and rewarded. Noël is eager to continue this tradition in the future. In fact, the next leadership offsite happened last week and two people will cameo who were nominated by the entire company, not just managers, before being randomly selected. Why Invest All This Time and Effort in Internal Communications? Given all of this, it seems like SoundCloud is devoting a whole lot of energy and brainpower to internal communication and coordination. A lot of early stage startups might read this and think they don't have the resources or the manpower to spare, and how important could it actually be anyway? Not that many companies are placing this type of emphasis. It's easy to have this attitude until the rubber hits the road. SoundCloud has been there, done that, and has made it to the other side. The upshot from Noël: More companies should be focused on creating internal comms that scale, and even earlier. Employees’ priorities are clearly on the move. “We’re seeing a generation of people who are making decisions about where to work based on how their personal values map to company values,” Noël says. Today, “more than twice as many employees are motivated by work passion than career ambition.” These are people who look to a company’s mission and vision first, before considering its balance sheet or market share. They’re the type of workers any company would want to hire — dedicated, driven employees who are eager to take ownership and make an impact.